Although Jan Slaski will admit that hemp acres are still small in Alberta, donâ€™t tell him itâ€™s a niche crop. The researcher with Alberta Innovates Technology Futures doesnâ€™t care for that term. In fact, Alberta alone accounts for 30 per cent of the national hemp acreage, Slaski notes. Hemp products, of course, come from the cannabis plant â€” the same plant marijuana is derived from. Hemp, though, differs in that it contains virtually no Tetrahydrocannabinol (THC) â€” the active component in marijuana that causes psychoactive effects. Hemp became legal to grow in Canada in 1998, although it is still regulated by Health Canada and anyone wanting to grow it must apply for a license. Grain from industrial hemp is used in food products, cosmetics, plastics and fuel. The market for hemp grain is large, with $50 million in hemp products being exported from Canada in 2014, according to Slaski. Although the market for hemp fiber isnâ€™t as large at the moment, itâ€™s growing fast â€” two hemp fibre processing facilities are currently being developed in Alberta. In mid-January,Â Cylab InternationalÂ announced its plan to move operations from China to an undisclosed location in Southern Alberta. The new facility will process hemp fibre into construction materials, animal bedding and other products. 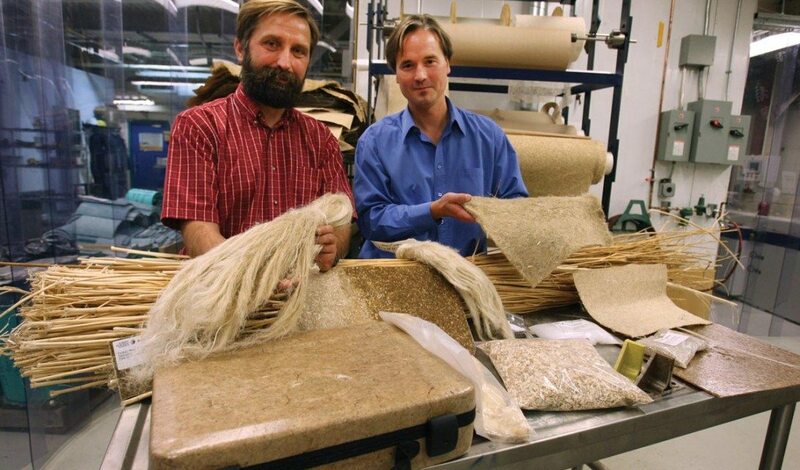 Stemia Group Ltd., a company Alberta Innovates Tech Futures has collaborated with for five years, is building a flax and hemp straw decortication facility in Lethbridge. The company plans to make products for the construction, automotive and paper industries. 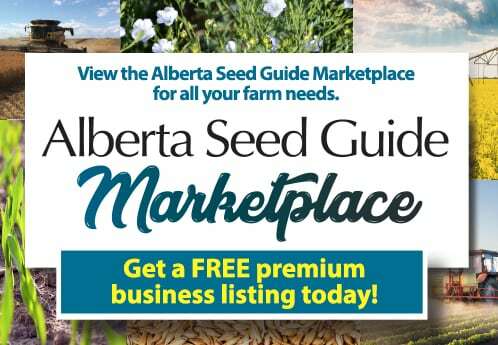 Will Van Roessel of Albertaâ€™s Specialty Seeds Ltd. has grown hemp for five years. He produces seed varieties used to produce hemp grain, and says being in the seed business, heâ€™s always looking for new ventures and opportunities. Thatâ€™s why he began growing it. Optimal growing conditions make harvest easier. According to the Ontario Ministry of Agriculture, Food and Rural Affairs (OMAFRA), hemp responds to a well drained, loam soil with a pH (acidity) above 6.0. Neutral to slightly alkaline (pH 7.0 – 7.5) is preferred. The higher the clay contents of the soil, the lower the yield of fibre or grain produced. For optimum germination, industrial hemp seed requires good seed-to-soil contact. The seedbed should be firm, level and relatively fine; similar to that prepared for direct-seeded forages. The soil can be worked and planted as soon as the ground is dry enough to avoid compaction. Numerous hemp varieties are available to be grown in Canada, but the most common that are being contracted and grown presently are Alyssa, Anka, CRSâ€“1, CFXâ€“1, CFXâ€“2, Delores and Finola. Faba beans are taking off in Alberta. The faba bean was once an up-and-coming crop in Manitoba, before the soybean exploded onto the scene and took over. Leave it to Alberta to usher in a faba bean revival on the Prairies. According to statistics from Alberta Agriculture and Rural Development (AARD), faba bean acreage in Alberta nearly tripled in 2014 compared to the year before, jumping from 30,000 to 80,000 acres. The reason for the explosion in faba bean acreage? â€œA lot of companies have really stepped forward to market it,â€ Olson says. That includes Saskcan Pulse Trading and Parkland Alberta Commodities, which are marketing the beans for Alberta growers. Much of the faba bean grown in Alberta is sold into the Middle East, where faba bean flour is widely used in sauces as well as falafel, a traditional Middle Eastern food served in a pita. The beans themselves are a popular food staple there. There are two types of faba beans â€” tannin varieties and low-tannin varieties. Low-tannin faba bean is often used in hog rations, while the tannin-containing varieties are used largely in food products. Tannin also acts a natural seed protectant, Olson notes. Also, itâ€™s a crop that doesnâ€™t have to be heavily fertilized, he adds, because faba beans fix nitrogen and it is the highest nitrogen-fixing â€” approximately 90 per cent â€” annual grain legume globally. â€œAs nitrogen prices increase, farmers are looking for a way to cut costs,â€ Olson adds. Clifford Cyre of Westlockâ€™s Cyre Seed Farms can attest to the benefits of faba beans. Heâ€™s been growing them for 15 years. He holds the rights to the Snowbird faba bean variety in Western Canada, a low tannin type suitable for both food and feed uses. Another benefit Cyre has noted is the fact that thereâ€™s little pest and disease pressure with faba beans. â€œThere is one fungicide you can use for diseases on faba bean which is for sclerotinia, but we havenâ€™t had an issue with that,â€ he notes. Growers should watch herbicide residues where they plan to seed faba beans. He also advises not planting them on high nitrogen grounds, and avoiding fields with a history of having a lot of manure spread on them. There are currently 13 faba bean varieties registered in Canada, but only two are commonly grown in Alberta. These are Malik (9-4) and Snowbird. Two new varieties, Snowdrop and Tabasco, are currently in the seed multiplication process and should be available to commercial growers in the next couple years. Itâ€™s hard to imagine an airplane being fueled by mustard, but in 2012, the first flight of a jet aircraft powered with biofuel made entirely from Ethiopian mustard took place in Ottawa. Ethiopian mustard â€” or Brassica carinata â€” holds tremendous promise as a biofuel and is prized as a food source in countries such as Africa. And itâ€™s beginning to get noticed in Alberta, where itâ€™s being tested as a startup crop in the hopes of it filling a niche market demand. â€œIt is quite a different animal to grow â€” it broadens the scope of crops that producers can look at,â€ says Kevin Falk, a researcher with Agriculture and Agri-Food Canada based in Saskatoon, Sask. Heâ€™s testing the crop in locations in southern Alberta, a province he says shows promise for growing it. 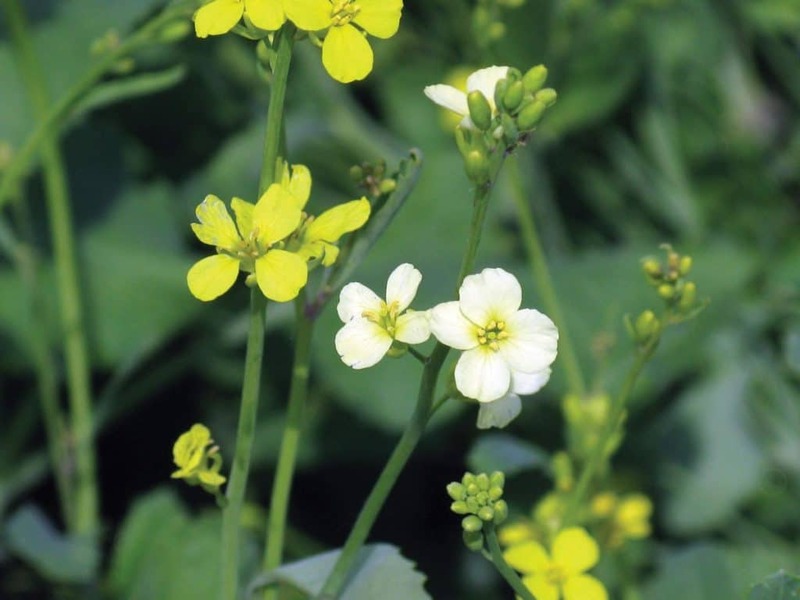 In 2012 and 2013, carinata acres were contracted in Saskatchewan and Alberta. No Ethiopian mustard acres were contracted in 2014, however, because its exclusive Canadian distributor â€” Agrisoma Biosciences â€” put its contracting program on hold while it sought regulatory approval for its use in livestock protein. The approval was granted, and Agrisoma estimates at least 25,000 acres of Ethiopian mustard will be grown in Canada in 2015. When processed, Ethiopian mustard oil can be used as an industrial oil suited for biofuel production. According to Falk, thereâ€™s been a focus on reducing the glucose content of the plant so it can be used as a feed ration. In Ethiopia, itâ€™s used as a food product, as it provides flavour to food similar to that of a Dijon mustard, although less hot. Itâ€™s a late-maturing crop, Falk notes, and takes around 10 days longer than Argentine canola to mature. White rust and blackleg are not an issue, and Falk has seen yields as good if not better than those seen with canola. Itâ€™s also heat and drought tolerant, he adds, and yields as good â€” if not better â€” than canola in the hotter, drier areas. â€œItâ€™s an up-and-coming crop that weâ€™re going to see more of,â€ Falk says.